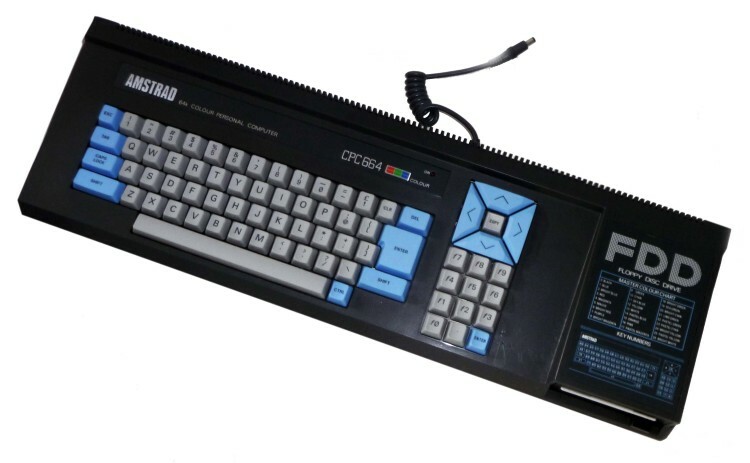 1985 was the year I got an Amstrad CPC664 and I certainly wasn’t reading any more about programming the Commodore 64! As I warned him before, TMR has dared to criticise my last DE DEBUNK, so now I have to DE DE DE DEBUNK him! You can read what he said on http://www.c64crapdebunk.wordpress.com , but you’ll need a good sense of humour! As I mentioned previously, lots of people were buying computers in 1984 and they expected documentation to be available for them! I was shocked by all the PEEKs and POKEs required to get the Commodore 64 to do graphics and sound, which was possible by using commands such as DRAW, LINE, DRAWTO, PLOT, COLOUR, COLOR, INK, PAPER, etc on non Commodore computers. I tried very hard to cope with this system, but after several months of what felt like banging my head against a brick wall, I had to give up. Why make life more difficult for myself when I could just buy another computer which was relatively easy to program? 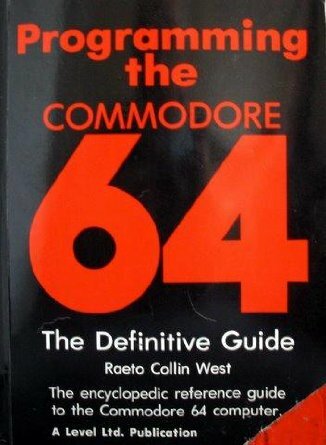 The book “Progamming The Commodore 64: The Definitive Guide” came out in April 1985, according to Amazon as pointed out on http://www.amazon.co.uk/Programming-Commodore-64-Definitive-Guide/dp/0950765023/ref=sr_1_2?ie=UTF8&qid=1394478900&sr=8-2&keywords=Programming+the+Commodore+64 . This means it was simply TOO LATE for me! 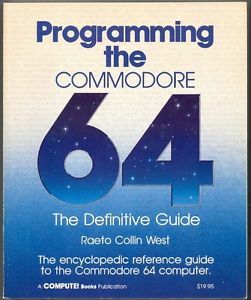 Raeto West had previously written a book called “Programming the PET/CBM”, which came out in January 1982 http://www.amazon.co.uk/Programming-PET-Raeto-Collin-West/dp/0950765007/ref=sr_1_1?s=books&ie=UTF8&qid=1394479076&sr=1-1 . 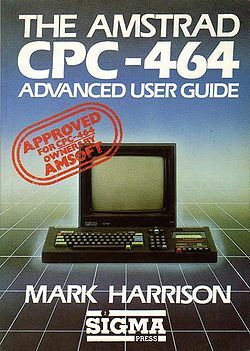 Using his knowledge of the much more simple PET gained over God knows how long a period of time, he was able to find out how to program the Commodore 64, which used the 6502 CPU, compatible with the C64’s 6510 CPU, as well as a compatible ROM based OS called the “Kernal”. Most Commodore PET computers even had a Monitor built in. While we’re on the subject of the PET, here’s something to consider. In late 1980, I saw a documentary (possibly on the BBC TV series “Horizon”) featuring computers including a sequence where a Japanese team had written a program to translate simple business letters into any of several languages and I remember I was really interested in this program which I think was running on an 80 column green screen display. It could display not only the western alphabet, but also Japanese, as well as Russian characters. Unfortunately, at that time, computers were quite expensive and I think my Dad was probably too mean to consider buying one, although he was quite interested in new technology and we hired a video recorder just before Christmas 1979. I never heard of the Sinclair ZX80 until years later. As they were Japanese, I think it’s likely that the team had written this translation program on an NEC PC-8000, although obviously I can’t be sure about this. Although lots of people thought the Commodore PET was OK, so long as you only wanted to display text, it had other problems. the NEC PC-8000 could display graphics at a resolution of 160×100 pixels and in 8 colours. It also ran N-BASIC, which was a 24K version of Microsoft BASIC, while the Commodore PET was stuck with the older 8K Microsoft BASIC. According to “What Micro” magazine, the NEC PC-8000 was available in Britain during 1983 for £397, compared with the cheapest Commodore PET style computer, the Commodore 4016 for £632, and the Commodore 64 at about £339-£345. Apart from this, according to http://en.wikipedia.org/wiki/Commodore_PET the Commodore PET didn’t allow users to redefine its character set, so in that case, it wouldn’t have been possible to display Japanese or Russian characters on a PET, unless it was one of the special Japanese models sold in Japan, but even then it wouldn’t display Russian characters! This means that if anyone was inspired to do translations from English or other western European languages into Japanese, Russian, or any other language using a different alphabet, then they’d have been totally let down by the Commodore PET. The NEC PC-8000 could at least do graphics and use the BASIC commands GET and PUT to manipulate graphics on its screen. I’m not sure if it could redefine its characters. 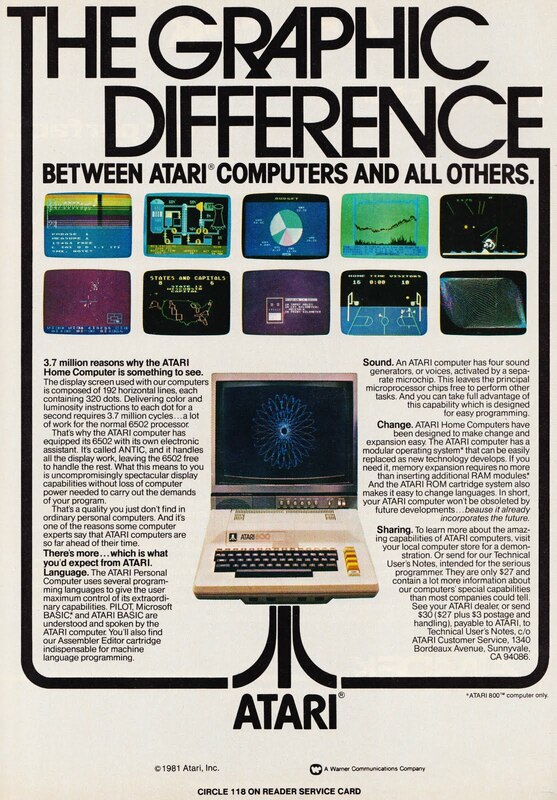 Atari computers COULD redefine their characters, though.